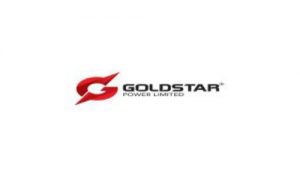 Business description from prospectus - Goldstar Power is a battery manufacturing Company, manufacturing & marketing its products under flagship brand ―Star Gold. The company, Goldstar Power Limited is located at Hapa, Jamnagar on Jamnagar-Rajkot Highway, Gujarat with an integrated plant wherein battery scrap and discarded batteries procured from dealers and retailers are converted to finished product. The company‘s major revenue is from sale of Battery and Lead Plates various measures ranging from IST 1000 to IST 2200, GS 400 to GS 1800 and GST, GSD and GSV versions. Its product range covers various types of batteries including automotive batteries, tubular batteries, SMF series batteries, VRLA batteries, Solar batteries, Pure Lead and Alloy batteries. Goldstar Power IPO allotment status is now available on Link Intime’s website. Click on this link to get allotment status.